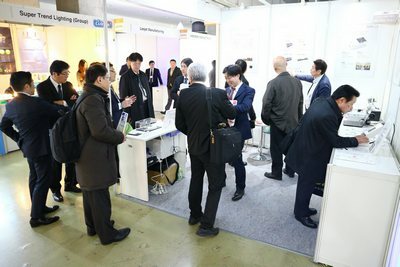 Each March the Japan LED Association brings the top manufacturers from all over the world together at the LED NEXT STAGE. Market leaders find themselves with the opportunity to show off the newest LED and OLED lighting products to influential designers, engineers and buyers. Ready to order items, production models and concepts on display guide the future of the lighting industry. This season ’s event placed emphasis on store and city design. At this year's show, GRE Alpha’s booth featured interactive product displays allowing visitors to experience firsthand the high quality of its products. GRE Alpha showcased its new EnOcean dimming module as well as PSE-certified LED drivers including the SLD-DIM DALI and SLD dimming module (1-10V+PWM). With the global market in mind, the firm provides the same technology in 868MHz and 902MHz modules that Japanese customers can incorporate into their products for overseas markets. This was GRE Alpha’s second year participating in this event. Those in attendance reported a 25 percent increase in product inquiries. There will be additional opportunities to see live demonstrations. GRE Alpha will also be participating in the Lightfair International 2018 trade show, slated to be held in from May 8 to 10 in Chicago. LFI is the world’s largest annual architectural and commercial lighting trade show and is sponsored by the International Association of Lighting Designers and the Illuminating Engineering Society. The main focus of LFI this year will be smart cities. Showcasing the latest technology is a hallmark of the world’s leading trade fair for lighting and building services technology. Longtime GRE Alpha partner, Lumileds will be at Germany’s Messe Light + Building, eager to present their latest products. Weeks ago Lumileds introduced its fourth generation of chip-on-board (CoB) LEDs, the LUXEON CoB Core Range which leads the market in efficacy and quality of light. The product incorporates GRE Alpha’s warm dimming modules to provide a smooth dim-to-warm effect. With the new LUXEON CoB Core Range, Lumileds sets a new standard with 5% greater efficacy than the closest alternatives. The major applications include use in spotlights and downlights. Messe Light + Building is renowned for the exhibitors’ high levels of expertise in the field of design. GRE Alpha and its partners will feature interactive displays of many of products, allowing users to experience firsthand the craftsmanship and quality. Messe Light + Building, the world’s largest trade fair for lighting and building services technology will feature the latest products with cutting edge features. More than 2,600 exhibitors will be presenting their products in the fields of lighting, electrical and home and building automation. “Connected – Secure – Convenient” is the motto of the spring event. The lighting group will embrace this year’s theme bringing focus to the newest design trends. Dimming technology is a critical component in luminaire design. With that in mind, GRE Alpha’s team will be bringing their modular approach to LED dimming to the fair. Their modular drivers will be on display at both the Digital Illumination Interface Alliance (DiiA) and EnOcean booths March 18 to 23, 2018. “Aligning with these two forward thinking organizations allows us to continue pushing technology that caters to designers, architects and engineers who crave innovation” says Richard Fong, Executive Director at GRE Alpha. The EnOcean Alliance, along with 15 of its members, will be presenting energy harvesting wireless solutions for building automation and smart home applications. The newly released ENO-DIM module will be among the featured technologies at stall B60 in Hall 9.1. The dimmer is designed to work with any EnOcean-certified wireless energy harvesting switch. Because the drivers operate on proprietary communication frequencies, users experience reliable noise-free connections. The specialized units are being used in various applications, such as architectural lighting, general commercial illumination, warehouses, signage or strip lighting. Diia, an open, global consortium of lighting companies will also showcase products from members. Visitors to the exhibit at FOY16 in the foyer outside Hall 4.1 will be able to speak with DALI experts, including DALI Technical & Certification Manager, Scott Wade. GRE Alpha plans to have DALI dimmers, such as the SLD-DIM DALI and GLD-DIM-DALI modules featured at the show. The easy to install series drivers, with integral wiring compartments, provide significant savings in installation time and cost, while ensuring safety and reliability. The LED has come a long way since its invention more than 50 years ago. From instrumentation indicators to digital clocks to holiday displays and more recently smart buildings, the application options for LEDs seem limitless. As environmental awareness increases, more consumers look to benefit from the energy efficiency and durability of LED lighting systems. Municipalities also increasingly look to tap into these benefits by replacing dated energy-guzzling streetlights with more efficient LED street lighting. 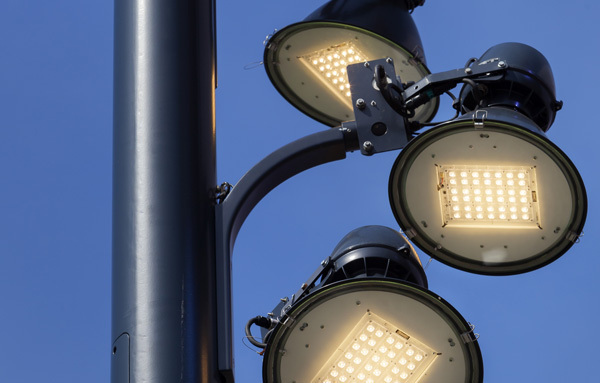 Manufacturers responded to the demand by forming partnerships and developing the LED technology to meet the more rigorous standards for street lights. 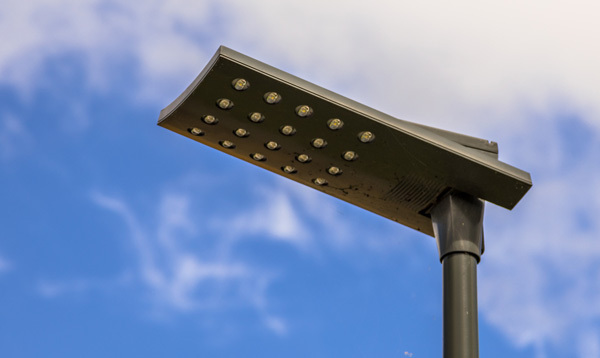 Along with decisions about illumination, color, intensity, connectivity and ingress protection, the most important consideration for a street lighting retrofit must be the driver which supplies the power and controller to the LED. So what are some key factors to consider when choosing an LED driver for a street lighting system? LED streetlights must be durable as well as easy to maintain. More and more manufacturers are responding to this demand by designing systems with remote LED drivers that reside in the junction box at the base of the streetlight instead of inside the fixture at the top of the pole. This allows for easier maintenance as the driver tends to be more prone to failure than the LED. Easier maintenance means added savings to municipalities. Remote drivers also play a role in LED thermal management. LED drivers are traditionally built into LED fixtures on the head in front of the LED module. During the voltage conversion process, LED drivers produce thermal energy which gets trapped in the housing and transferred to the LED. High temperatures lead to premature failure. LED fixtures with remote drivers are exposed to less heat and are therefore more durable than their built-in counterparts. LEDs operate at low voltages and are more sensitive to overvoltage than traditional bulbs. Standard LED drivers are designed to withstand overvoltages from 2kV to 4kV, but streetlights are subjected to much higher degrees of voltage fluctuations. Power grid overvoltages, for example, can reach as high as 6kV while lightning strikes are known to generate overvoltages as high as 10kV. Electrostatic discharge (ESD) generated during routine maintenance can also impact unprotected LEDs. High overvoltages can cause high currents and the premature aging of LEDs, leading to reduced service life and decreased economic benefit to municipalities. Designers must, therefore, consider adding a quality surge protector aptly rated for the intended application environment. If future expandability is critical, then controller capabilities must also be a consideration. Digital Addressable Lighting Interface or DALI-based controllers are becoming increasingly popular for street lighting control. Not only because they can be upgraded to wireless, but also because these controllers offer greater compatibility with existing lighting control systems. DALI controllers are simple, scalable, flexible and robust. DALI can control individual LEDs or even groups of LEDs and are easily reconfigurable for changing conditions. Rapidly evolving LED technology has opened the door to new applications in public street lighting as cities worldwide seek to reduce costs and improve night visibility. The complexities of municipal street lighting require that designers consider many factors when specifying a conversion, chief among which are LED driver attributes. The most effective drivers are easy to maintain, offer surge protection, lighting control and ensure LED longevity. Bullough, J. D., Lighting Research Center., New York State Energy Research and Development Authority., & New York (State). (2012). Guide for optimizing the effectiveness and efficiency of roadway lighting. Troy, Ny. : Lighting Research Center. Drivers enable next-gen LED street lighting. (January 01, 2012). Electronic Products New York-, 54, 12, 44. LED drivers, or LED power supplies, provide LED light bulbs with the electricity required for peak performance, much like a fluorescent lamp’s magnetic ballast or a low-voltage bulb transformer. The steady stream of technological innovations and the often-confusing terminology can make LED driver selection seem overwhelming even to seasoned professionals. The goal of this article is to answer some of the most common questions and help the lighting designer/specifier navigate the intricate labyrinth of LED driver selection. What is an LED driver and why do you need one? LEDs cannot function without three essential components: the chipset that emits the light; the driver that regulates power to the light source; and the heat sink that cools the unit. The LED driver is a vital component of the technology as LEDs use the power converted by the driver to generate light. These drivers are very efficient in converting electricity, which is why a 100W LED bulb can replace a 400W metal halide bulb. What is the difference between constant voltage and constant current drivers? One of the most important factors to consider is whether the application needs a constant voltage (CV) or constant current (CC) power supply. A CV driver supplies a fixed voltage and is suitable for lighting applications where the number of LED strings and current draw are unknown. In these applications, current control is accomplished by additional components at the LED itself. CC drivers supply a fixed current and are suitable for applications that require constant current directly connected to the LED. This type of driver operates within limited voltage ranges, and it is therefore essential to choose a driver with an appropriate voltage rating. GRE Alpha, a leading designer of solid state LED power supplies, offers various dual mode LED drivers for increased lighting design flexibility. What is an AC LED driver? The function of an AC LED driver is to step down the input voltage to a lower output voltage to meet the LED’s small voltage needs, usually 12 or 24 Volts. It is important to consider your power requirements as AC LED drivers can only function with bulbs that already have an internal AC to DC converter. What are PF and PFC and why are they important? Power Factor (PF) is the relationship between real and apparent power, and represents the ratio between the actual load (kW) and the apparent load (kVA). Power Factor Correction (PFC) is critical to LED driver selection as LEDs, which have a low PF, draw greater current loads than higher PF loads. Low PF leads to more significant power loss in utility lines and LED drivers must therefore meet PFC standards. Does the driver support dimming and is it flicker-free? If the application requires any unique features, such as dimming, be sure to select a quality LED driver with flicker-free dimming capabilities. Today’s wireless LED drivers are designed for compatibility with robust wireless protocols such as Bluetooth LE, Zigbee, EnOcean, Thread, Z-Wave and KNX, thus allowing for interference-free near-instantaneous feedback. Designers must understand the various protocols available and compare strengths as well as limitations. Can I use the driver in my outdoor application? LED drivers with a rating of IP67, can be utilized in outdoor applications. Products with this rating are fully protected from dust and can withstand water submergence to 1m for up to 30 minutes. Is the driver compatible with wireless control systems? Many of today’s lighting control systems must be capable of connecting to the Internet of Things (IoT), the name given to the network of linked wireless physical devices. If your system design calls for wireless connectivity, you must ensure that your LED drivers are wireless and can “speak” the same language as other devices in your system. Connected devices can help designers plan systems that are more energy efficient and intuitive. If your LED driver does not have to “speak” one of the loT connectivity protocols, there are a wide array of LED dimming module add-ons available in the market. These products allow designers added project design choices. “This is one of our core unique innovations with our modular system approach,” said Richard Fong, Director at GRE Alpha. What is potting (encapsulating) and why is it important? Potting enhances the IP (Ingress Protection) rating of the driver/power supply by providing a waterproof barrier to protect components from liquids. This is especially critical for outdoor applications. The potting compound also conducts heat away from the vital power components to the surface of the enclosure and thus reduces thermal stress and improves component durability. What are the benefits of using high power efficiency drivers? Energy efficiency is the main reason customers hunger for solid state LED lighting control systems. The use of high-efficiency drivers increases the energy savings that can be achieved. Higher efficiency power supplies dissipate less heat and result in improved product lifetime. What is the LED driver’s life expectancy? In addition to energy savings, LED lighting systems must also withstand the test of time. LEDs are known to last significantly longer than traditional lighting systems. Thus the LED power supply must live up to the same life expectancy of the LED. Mean Time Between Failure (MTBF) is a good indicator of LED driver quality. Leading LED driver manufacturers, such as GRE Alpha, list MTBF information on their product data sheets. Lighting system designers can count on the integrity of these components for their system controls. Other factors to consider are reliability, function, and usability. Not all drivers are alike. Consider the benefits of taking the modular route. The main benefit is that it frees the user to mix and match what they need at the right price without having to over-engineer. To that regard, our modular systems approach is unique. To learn more about LED drivers and power supplies, please visit GREAlpha.com or the referenced articles below. Wang, Y., Alonso, J. M., & Ruan, X. (July 01, 2017). A Review of LED Drivers and Related Technologies. Ieee Transactions on Industrial Electronics, 64, 7, 5754-5765.